First Team Nissan has the best deals on New Nissan and Pre Owned Used Cars in the Christiansburg VA area. We are a located a short drive from Christiansburg Virginia here in beautiful Roanoke. 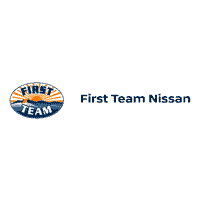 Nissan Christiansburg VA, come to First Team, Get Our Best Deal! We have the best selection of new Nissan vehicles in the Christiansburg VA area including the: Nissan 370Z, Nissan Altima, Nissan Armada, Nissan Cube, Nissan Frontier, Nissan Maxima, Nissan Murano, Nissan Pathfinder, Nissan Quest, Nissan Rogue, Nissan Sentra, Nissan Titan, Nissan Versa, and Nissan Xterra. We also have a great selection of premium pre-owned vehicles in the Christiansburg Va area as well as a great selection of used vehicles under $10,000.